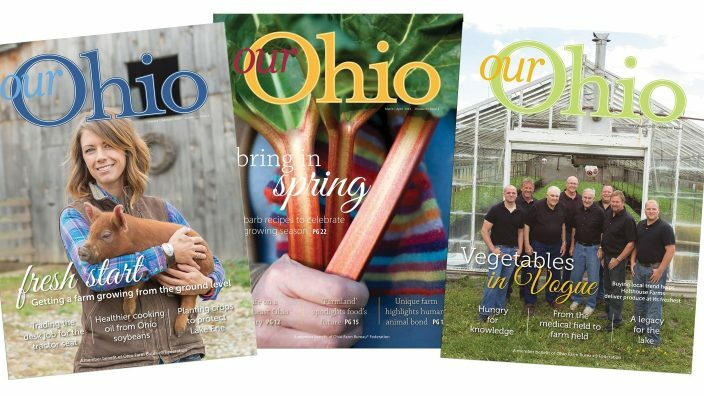 Our Ohio magazine connects consumers to agriculture through topics such as food, gardening, cooking, animals and events. Through captivating photography, engaging stories and tips for living closer to the land, Our Ohio invites readers to discover their inner farmer. The magazine is also available to Our Ohio Supporters. Request a free sample issue. Our Ohio also offers a television series available on most Ohio public television stations. Watch episodes on Our Ohio's YouTube channel. Follow Our Ohio on Pinterest and Instagram, and Like Our Ohio on Facebook.